A EU COD2 3v3: Bronze match scheduled for Friday 11:10pm February 1st 2019 . An admin (Mr.Spacemonkey) has awarded the win to NA CHUJ CI TA PRALKA. BobDylan has disputed the match. Please view the private dispute comments for more information. how can i know cd key is ban ? i buy it from org page ... why u even search that ? u are total idiot ? Anti-cheat community offering full support for PunkBuster enabled games including a global ban list for server admins and leagues. Our PBBans Hub now offers multi-streaming and live banning for all Punkbuster supported games. Join our friendly community today. "Player with GUID that is listed on the Master Ban Index of PBBans is considered a cheater and is not allowed to play in any CyberGamer matches." 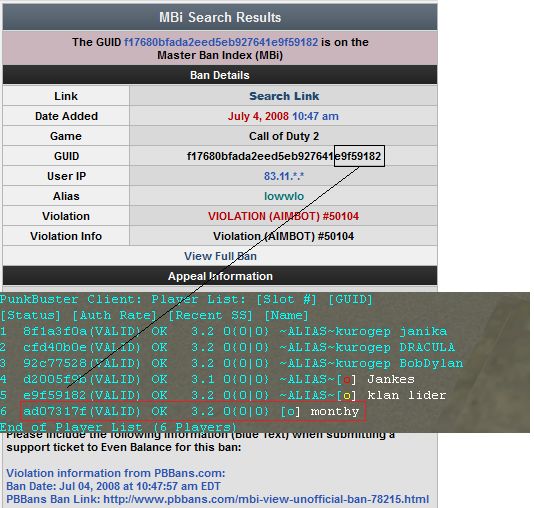 "CoD2 GUIDs are to be checked by both teams and must be the same as in the roster. The last 8 characters of a player's GUID needs to match 100% to one registered on their CyberGamer account. 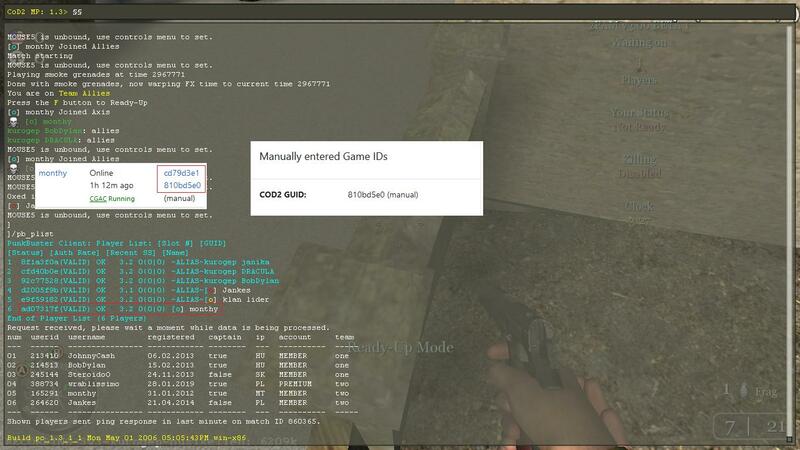 It is up to teams to take a screenshot of /pb_plist before a match ends." Accept 1-0 forfeit win. Thank you guys.